1945. 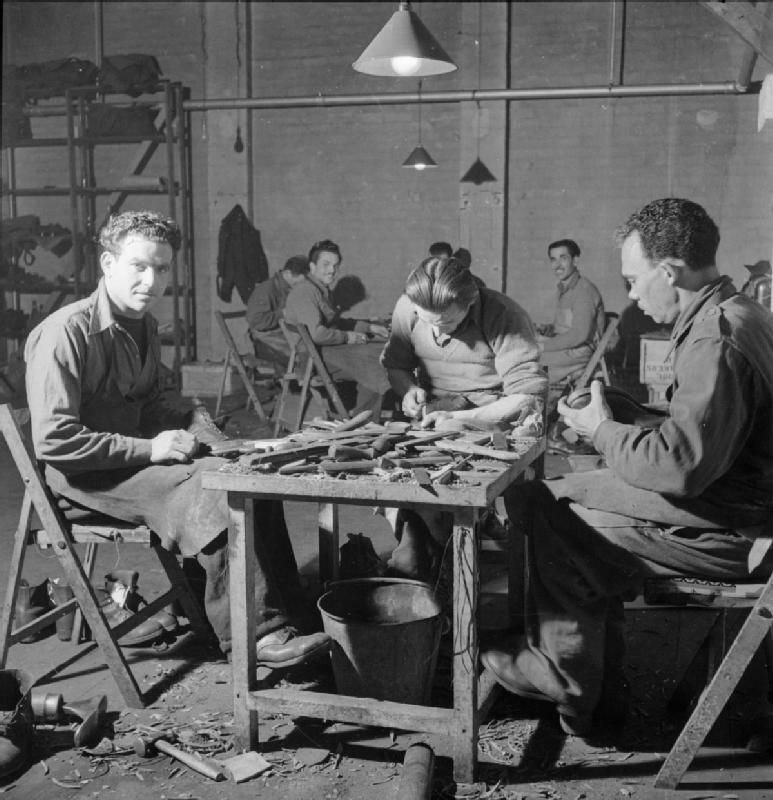 “Italian POWs working in a cobbler’s shop, London POW Camp” A general scene of the cobbler’s shop at the N.144 Italian workers camp near London. These Prisoners of War are: Antoni Tolino, Pasquale Usai, Salvatore Polizzi, Giuseppe Bosco and Aldo Mora. Ministry of Information Photo Division Photographer.